Started the week with lack of good news. And then some summer events news. Too many FGO caused Floflo delay. Lastly, wasted money as planned. I’l 2018 Summer tapestries. Full images are up. K-Books 10k purchase bonus. Blergh. Hopefully it doesn’t cost stupid later. Or if lucky I can just go to K-Books and grab random stuff? Saga Planets Store in Akiba. Nothing interesting in sight. Saga Planets Denkigai. Nothing interesting in sight? There’s Kano B1 tapestry but I don’t like her that much. And it’s not even new image. Not even R-18. There’s also Reina life-size tapestry but it’s life-size (duh) and not R-18. Palette C94 teaser. More 9-nine drama CD. That reminds me I haven’t listened to the standalone CD(s?). August C94. Goods set has more voice CD. But I don’t need anything else. Though I think I sold the previous one goods for quite a bit of money. Sono hi no kemono ni wa. The latest minori title. Slated for 2018 Winter. I was thinking this years December but 2019 January still counts as 2018 Winter…? Some more not-so-new Jiku-Chu tapestries. Whirlpool Denkigai 2018 Summer. Maybe the tapestry? Lashinbang C94. Whee. Wrong goods type. 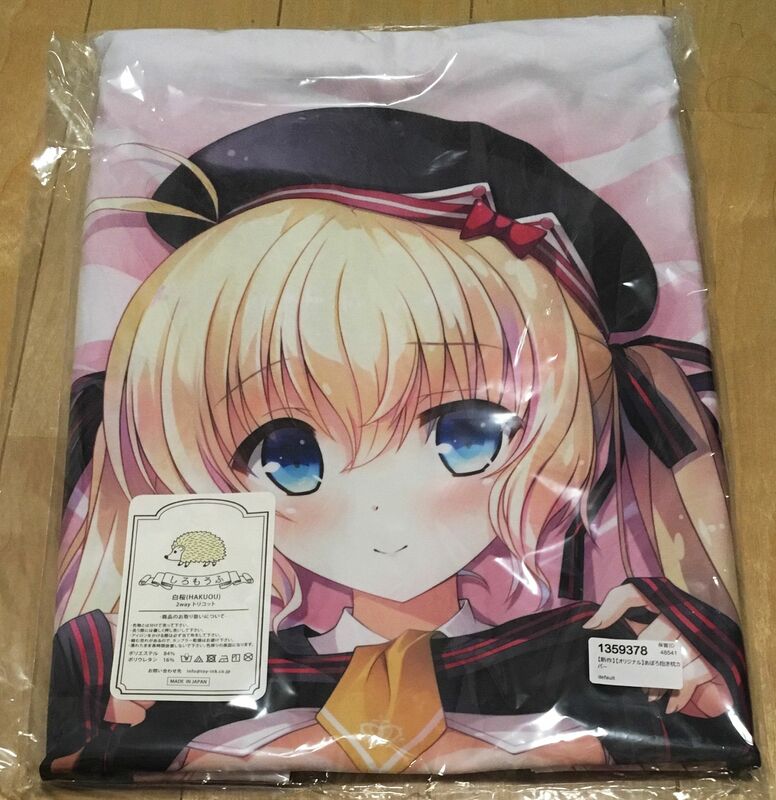 Kantoku pillow cover C94. Too bad all ages. Denkigai 2018 Summer goods. Tapestry price goes up a bit. Apparently I was blind last week and missed the announcement that there’s no Hulotte 2018 Summer goods. Hopefully they will bring in the one tapestry which I don’t know if actually exists from Moteyaba. On break because too lazy. Maybe will remove this section altogether. Over a month late but finally arrived, Ikegami Akane’s latest pillow cover. Quite more explicit this time for a doujin. Not quite the first time because she already has something similar for Stylus. And the only game for this month, Subahibi FVHD. Bought from YJA for a bit cheaper than new. Unfortunately the box is a bit crushed. Not like I’ll keep the box forever though. Now I write it I probably should check if the included shikishis are intact. Kohane route! Except I got terribly distracted last and this whole week by FGO and other stuff. Only progressed about a quarter of Kohane route. I think. No story in sight yet, lol. Finished Anastasia for the free gems. Also finished Shinjuku because I can. Quite a few difficult battles because of low rarity restriction but somehow managed to pass through. No new event yet so now slowly progressing through Agartha. Still no progress in anime. Should start resuming again because Titans S3 has started. Only sold one thing. And it’s done. And got some profit. Yay. Lowered price this week otherwise next timing would be pretty long because I don’t want to do it too close to Comiket. Two items bid already. May or may not put up some more stuff for auction. I’ve sorted some more, just need to actually find them, iron, take photos, and finally put them up for auction. Pre-ordered a bunch of stuff. Starting off with Yuzu-Soft audio CDs from Amazon because cheaper. Then Cuffs goods. Ended up getting Yosuga no Sora pillow cover as well. And mignon tapestry because… I’m… kind of dumb like that. Will pre-order I’L tapestries soon. The plan is to grab Takano Yuki and Shiromochi Sakura tapestries. K-Books tapestries pre-order also starts tomorrow. Hopefully I can grab Chikotam’s this time around as well? I’ll find out tomorrow. Denkigai official goods pre-order is up. Will go with Whirlpool, Saga Planets, and Tinkle Position. And maybe feng. Though there’s a question of how good the new material (triple suede) is. Initial look at the photos a bit worryingly indicate non-uniform shiny reflection. Hopefully it’s at least as good as previous ones. I need to check the actual thing at the event before placing order. Finance is still going pretty good. Stock market also recovered quite a bit and it’s been at positive for me this whole month. Just don’t go down too much again please. No problem in savings either though I may have quite a bit of spending next month if I actually do my random plan. Still with online verification thingy they say. Okay, they didn’t actually say anything in that regard. No confirmation whatsoever. Hopefully they bring in some good news. Otherwise, I don’t know, I’m on the fence about this one. My principle has been screaming “no” though. They plan to have goods resale starting tomorrow. If they’ve got the one thing I’ve been looking for, I’ll put an order with accompanying letter just like what I did for Cuffs. And so concludes my talk about Hulotte’s new potentially DRM’d title. No further talk about it here unless they remove it. Publicity and pre-orders are the last thing I wish for them to get. I’m horrible like that. Oh hey it’s 4 already. I probably should go sleep already to adjust sleep schedule for Summer events. 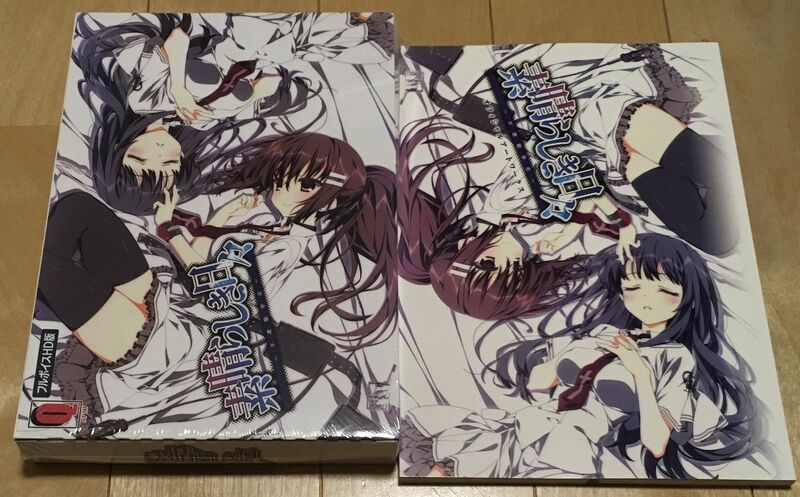 I just got the Maitetsu PS4 special edition with a triple suede tapestry and…hmm. There only seems to be shininess where it folds out (and unfortunately mine came with some big roll folds that are as hard to remove as I imagine they are to make). With some ironing it might go away. It seems a lot more durable than double suede (perhaps easier to clean too). Overall kind of comparable to that Trinity light resistant tapestry thing, but softer. If anything it was the okayish print resolution and faded out blacks that were more disappointing (especially considering them trying to sell it standalone for 6000 yen). Not to mention coming rolled up but with assembly required sticks. Hopefully Denkigai improves on all fronts.